Welcome to Google's CS First. Before getting started, take the brief survey below this video. You may have answered some of these questions before in a previous CS First Club, but go ahead and answer them again so that we can have your most recent thoughts and opinions. If you're unsure of the answers to a question, just make your best guess. There are no wrong answers. Questions with checkboxes allow you to pick multiple answers. You'll have about five minutes or so to complete the survey. After you answer all of the survey questions, click the green arrow below this video to move on. You have already submitted this survey. Click the Next button to move on to the next activity. Don’t see the survey? Be sure to sign in if you have an account. Otherwise, you can move on. 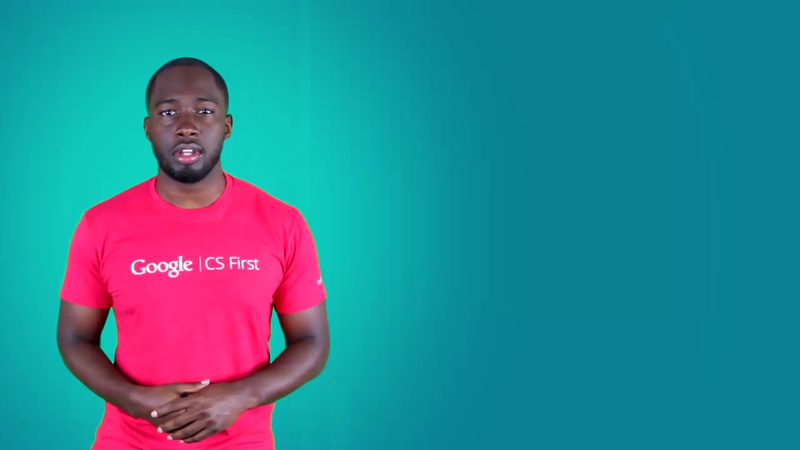 CS First is one of many Google initiatives focused on computer science education. Visit Google for Education to learn about other programs that may be of interest to you. Except as otherwise noted, the contents on this site are licensed under a Creative Commons Attribution-ShareAlike 4.0 International License. Scratch is a project of the Lifelong Kindergarten group at the MIT Media Lab. It is available for free at https://scratch.mit.edu.